Joe Pierce - I've been asked to make a shaving brush and bowl for someone. 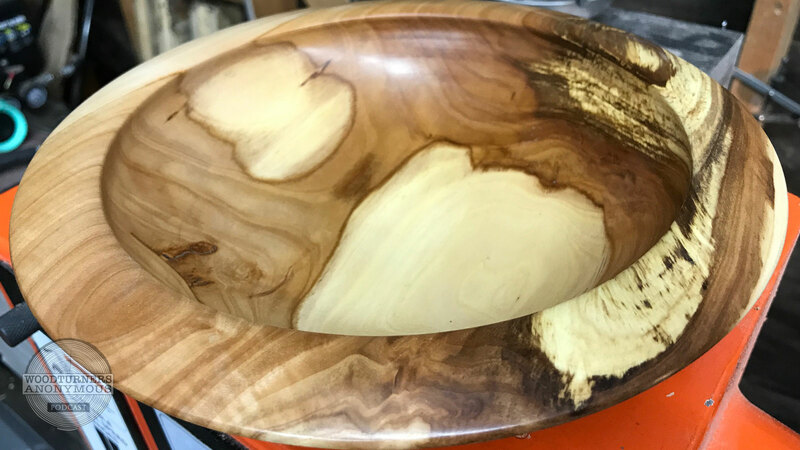 I was wondering if you guys had any suggestions for finishes that would help the bowl to withstand being wet. I would assume that it would have standing water in it after each shave. Zac Higgins @nvwoodwerks via instagram - Looking to pick up or make a carbide hollowing tool, anything specific to look for when buying them? Also do the ones Jimmy Clewes sell work good for hollowing? Jason - Cleaned off my lathe. I can actually see it. Chunk of maple chucked up for a bowl.